I was planning to share photos of the jewelry cabinets I painted Saturday. But I think I bit off more than I could chew! I painted all day Saturday & was going to finish on Sunday but it started raining so I don’t have good “after” shots taken yet. This post contains affiliate links. You won’t be charged any extra for using these but I will earn a small commission on anything you purchase which helps support my little blog. And I greatly appreciate it! Thanks!!! BUT… I’ve found out that these measurements don’t need to be exact. I had some little “paint pods” from Ace Hardware leftover from other projects that didn’t have a whole cup of paint in them. I just mixed a few tablespoons of plaster & water together, poured them in, and shook it up. That worked great, too. So on the next “paint pod” I didn’t even measure. 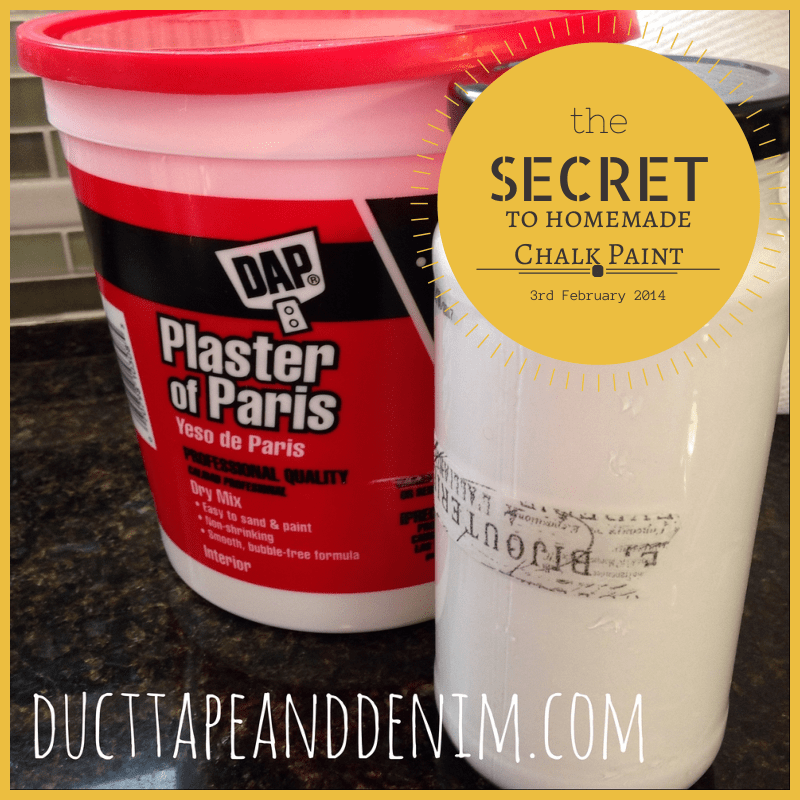 Now, this homemade chalk paint isn’t “green”. 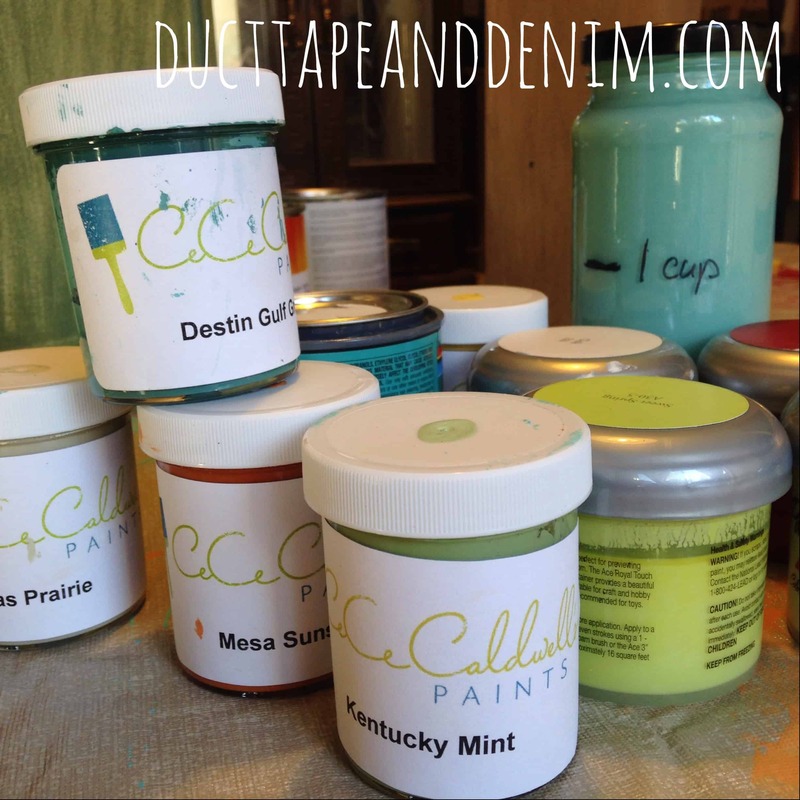 It’s not as good for you or the environment as CeCe Caldwell paints. There is a still a smell. And it doesn’t distress as easily. But it is cheaper and you don’t have to prep the wood like with regular latex. BTW, I’m still not too excited about the wax either. I use Minwax Polycrylic to finish them. I’ll give more step-by-step instructions when I post the before & after photos later. 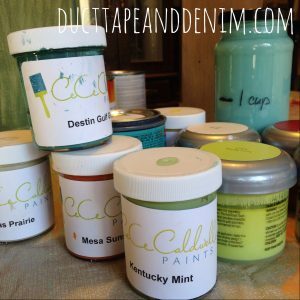 I’ve also started a Pinterest board for all my cabinets I’ve painted and I’m pinning painting tips there, too. Come join me! You can distress very easily using vaseline.